it can be used for a lot of other things too. I have tried all of the below and they were not wrong, my friend! 1. Whitening your teeth. Use this instead of toothpaste, no more than once a week. This will remove some of the plack. 2. Scrubbing pots and pans; let them soak in a mix of baking soda and water (1 spoon should be enough) en scrub with some baking soda. 3. Facial/ Body scrub: mix with just a little bit of water, scrub gently and wash it off with water. Make sure to do this no more than once a week. Scrubbing too much can get rid of the natural fat in your skin. 4. 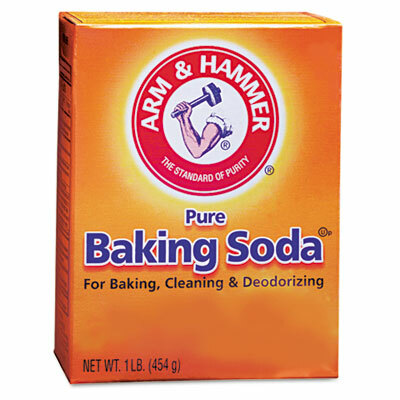 Floorscrub: Mix 1 spoon of baking soda with plenty of water and add some nice smelling natural oil or dishsoap and you have a very nice mix of cleaning product! 6. Shoes: pour some baking soda powder in the shoes, leave it for a night and remove by vacuuming) I have tried all of these and can tell you it truly works!